Check out Tobi's Hollyweed Graphic Tee Gotta love throwbacks. Get all retro with the Hollyweed Yellow Graphic Tee! Featuring short sleeves and a high neck, this ringer t-shirt is all kinds of comfortable. Throw it back even further with mom jeans and sneakers for a casual yet chic look! Gotta love throwbacks. 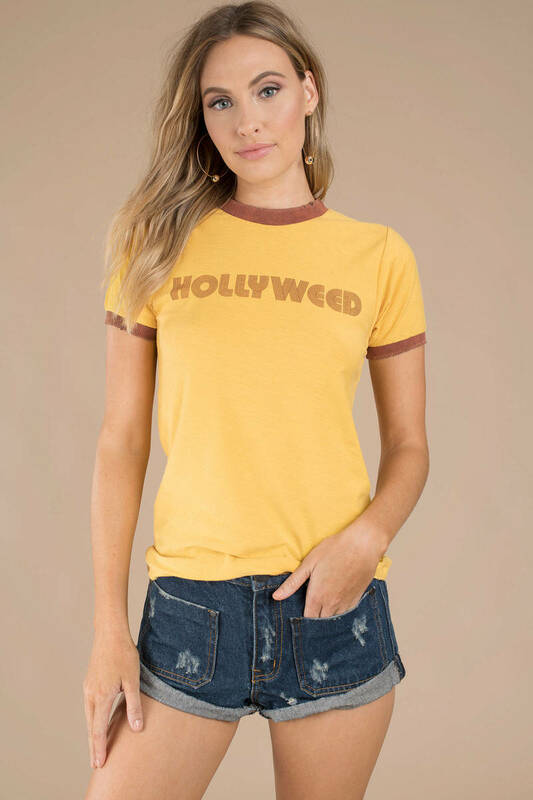 Get all retro with the Hollyweed Yellow Graphic Tee! 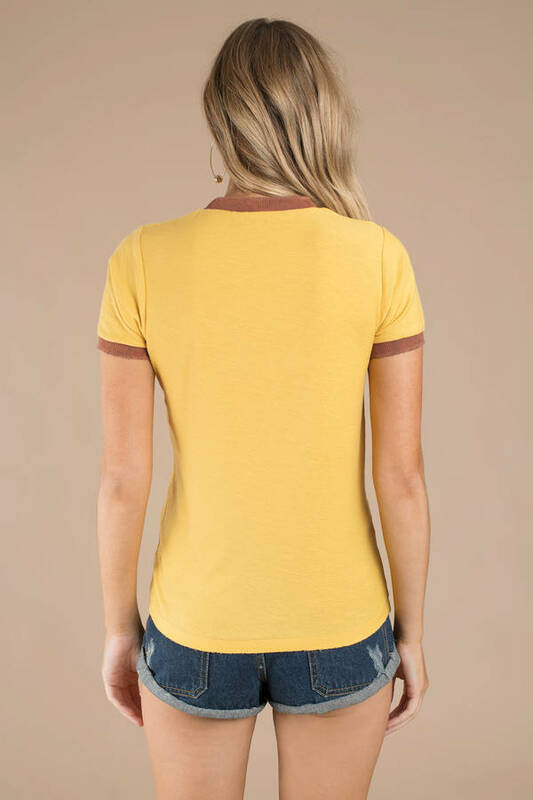 Featuring short sleeves and a high neck, this ringer t-shirt is all kinds of comfortable. Throw it back even further with mom jeans and sneakers for a casual yet chic look!